Last month we blogged about the fabulous Bocce's Bakery-- and this month, we got a chance to try out their delicious, homemade, 100% organic, natural treats. In addition to the wholesome ingredients, the biscuits first caught out eye because they're made right here in NYC! We knew these treats were going to be a hit almost from the second the awesome folks at Bocce's sent them over-- Paddy couldn't wait to tear into them! (In fact, she picked up the pad-pack they arrived in and attempted to get into them without our help...) Paddy sampled the Grandma's Apple Pie flavor which includes ingredients like freshly picked organic apples and local NY clover honey. 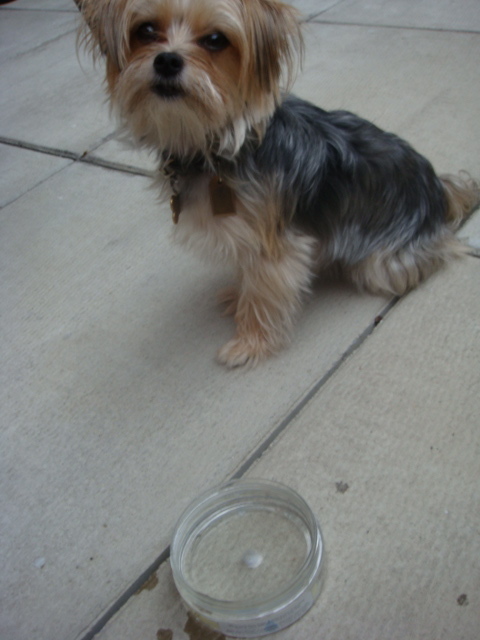 Easy to break into pieces for small dogs (though not crumbly at all)-- we've been using them as treats to stuff her Kong. Not only did they apparently taste delicious, but we loved the way they smelled too! 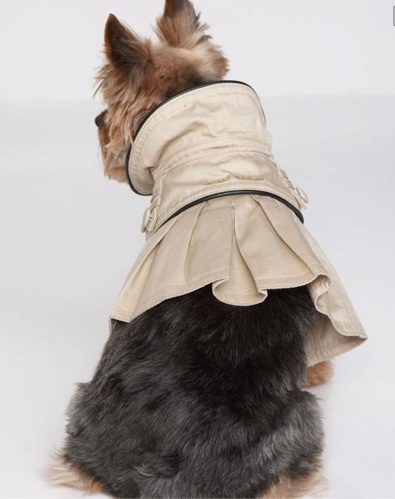 Pick up treats for your deserving pup from www.boccesbakery.com, and if you're in NYC, make sure to check out their "Doggie Bag" delivery service-- we're seriously considering signing up! Okay, so, in an attempt to stretch summer out for as long as possible, we're planning on re-stocking our terrace with some fresh new blooms. While browsing at the local flower shop, a small little bell went off in our heads- wait, aren't there some plants that aren't good for your pets? Azaleas, English ivy, eucalyptus, amaryllis... visions of one sick pup began to dance in front of our eyes. Thus, we turned right away to our number-one go-to resource: The Dog Bible. 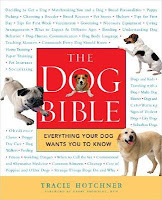 Written by dog guru Tracie Hotchner, The Dog Bible contains just about everything you would ever need to know about when it comes to owning a dog (and as the rest of the title says: "everything your dog wants you to know" too!). “The answer to why I wrote this book is sort of the opposite of Mt. Everest and why people climb it - in this case, I wrote the book because it did not exist. Having owned and loved dogs literally from the time I was born, I have so often wanted information or had problems and been unable to find information or get reliable advice. I realized that I’m not alone - all dog lovers need a book they can reach for with support and information on any subject relating to their dogs. 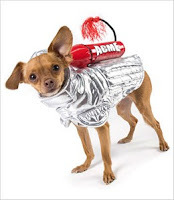 The way that parents can consult Dr. Spock to clarify a situation and make informed decisions for their particular situation, so should people have an encyclopedic guide for their canine companions," explains Hotchner on her website. This volume covers the gamut: Dog 911, doggy biology and anatomy, feeding, behavior, grooming, training, dangerous substances- just about anything you can think about. Really- even the most inane/silly/small questions we could conjure up were covered. We appreciate this greatly, being owners of a considerable amount of pet literature; it's great to have all of the answers in one book. A must-have for the first-time dog owner (or prospective pup parent), even as seasoned doggy people we've found this book a priceless resource. Hotchner offers an unbiased, informed, organized approach that doesn't try to force her methods or beliefs on the reader. Enjoyable to read (would someone please tell most dog-guide owners that all we really want is basic English?!) and very well researched, it also features a great index for quick solutions and troubleshooting. A good refresher for even the most knowledgeable dog parent (after all, aren't we always looking for validation that we're doing the best/right thing for our pet? ), it also makes a great new puppy present. Check out Hotchner's site and swing by Amazon.com to snag a copy of this must-have if it's not on your shelves already. We guarantee your copy will become a dog-eared staple and that you'll end up picking up several for the other dog lovers in your life! p.s. And for all you cat owners out there, Tracie is also the author of The Cat Bible: Everything Your Cat Expects You To Know! Disclaimer: This book was purchased by us for review. 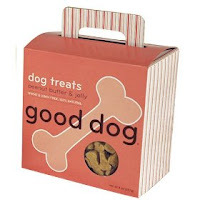 Good Dog Treats are literally good dog treats and a favorite snack in our household. The perfect size for smaller dogs- the treats are about the size of a quarter and come in a variety of different delicious flavors including Apple Dumpling, Peanut Butter and Jelly, Chicken Pot Pie and Blueberry Cobbler. Our picky eater can't get enough of them, and they seem not to trouble her sometimes sensitive stomach. They also smell exactly like their names would suggest, which is always a good sign! 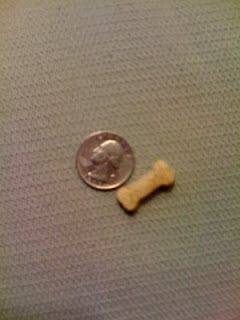 Shaped like little bones, they are perfect for taking on the go or as occasional rewards for good behavior. In addition, they're 100% natural, and the ingredients do not include wheat, corn preservatives or added chemicals! With such cute flavors and adorable packaging, they make the perfect gift for the new dog parent or any lovable four-legged friend in your life. Made by Sojos and available directly from their website for $6.95. Disclaimer: This product was purchased by us for the purpose of reviewing. Okay, so arguably it may be a little bit early to start thinking about Halloween-- but if you're like us, it's time to start planning! Especially, as in the past when we've left it to the last minute we've discovered the extra-small and small sizes tend to sell out. Check out the awesome array of options at one of our favorite online boutiques: GW Little. 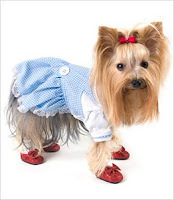 This year, they've got over 50 adorable outfits for your pooch ranging from $26 to $59. Oh no, no, no I'm a Rocket Space Dog! This Halloween, let Toto take the spotlight as Dorothy! 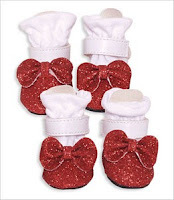 Snag your pooch's size while they're still available! Disclaimer: Images from GW Little's awesome site and lyrics were borrowed from Elton John. What is it about water bottles that fascinates dogs?? If you've ever made the mistake of leaving a water bottle in your doggy's reach (especially the Poland Spring ribbed kind)- you've probably discovered that your canine companion can't get enough of the crunchy container. 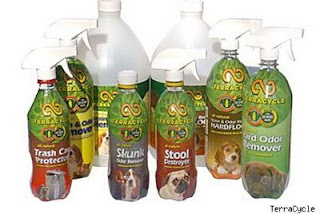 The excellent people at Fat Cat Inc. have found a way of transforming your empty water receptacles into a more appropriate source of doggy fun. Their Water Bottle Cruncher dog toys are essentially durable water bottle cases for your pup. Made out of their bright long-lasting material, they house an empty 20 oz water bottle and pack hours of crunching playtime. When the fun has been exhausted out of the water bottle that comes with the toy, simply pop in a new one for continued fun and play! A great way to recycle those old water bottles that seem to stack up- it's also an easy way to give a sure-favorite new life every now and then! While at first sight a little large for a small dog like Paddington- it's light enough for her to carry around and toss to herself (a favorite game). The crackling/crunching sound fascinates her and the durable fabric stands up to her sharp little teeth. Though our first "cat-erpillar" has now met it's timely demise, it took Paddy a good month and a half to render it unusable (the adorable little cat paws were the first to go). Available directly from Fat Cat Inc. for $21.95 each, we picked ours up at PetCo and we've seen it at Target and other pet supply stores as well! 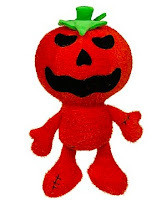 Check out their site for other fun, awesomely designed toys for the dog or cat in your life! If you're like me and a majority of other dog owners, often your dog companion needs to be left home alone (unless you live in France where it's kosher to bring your dog everywhere- including the supermarket. No joke- I've seen it first hand!). Enter The Dog Companion DVDs! We received "Dog Farm Adventure" and "Dog Friend at Home Adventure" two Christmases ago as a practical joke gift from my parents, only to discover that they did actually entertain Paddington! The true guilty dog parent purchase, I have to admit that occasionally whenever I have to pop out to do a quick errand or go to the gym I switch this on for Paddington as it makes me feel slightly less bad that I'm leaving her unattended. The premise of both DVDs is simple- sights and sounds that will capture the interest of your canine companions or distract them from your absence. Created by animal behaviorist Dr. Stanley Coren who has a show on The Pet Network (which I've never seen), each video "[incorporates] interesting images, familiar sounds and music for dogs." Coined "the virtual pet sitter," you can pick a continuous repeat setting that will allow the DVD to run until you turn it off. The DVDs also feature other menu options that allow you to pick specific scenes or set it up to play segments randomly. Each DVD that we've watched also had a "desensitization track" which is meant to help dogs adapt to sounds like doorbells, knocking, etc. While the site claims that "most dogs will react more calmly to similar stimuli within a couple of days," we can't vouch for this as we've never tried it (nor did we really have a need to). This definitely may be helpful for people who have dogs that are triggered by these sounds- but if your dog has a serious anxiety problem we could see it making the problem slightly worse in your absence. The camera angles are all from the canine perspective (the Dog Farm Adventure video is hilarious) and are accompanied by a soothing classical soundtrack. Additional sounds include human voices, animal noises (depending on which DVD you're watching), and familiar household sounds all over a classical music soundtrack. Segments on the DVDs that we've seen have included: a room full of puppies (really adorable- especially if you appreciated the Shiba Inu camera that was live last year), a dog pulling a cart full of kittens, a car trip and a visit to the petting zoo (which is pretty funny from the dog angle!). While I can't vouch for the site's "scientifically produced" claim- it did in fact have my dog sitting in front of the TV and sniffing the speakers. While not all scenes always capture her attention, for the most part she has an interest in what's going on. The DVDs are slightly expensive for what they are at $19.95 CAD, especially considering that the video and editing is definitely on the amateur side (this was clearly filmed by Dr. Coren and his family on a handheld camera... around his house... and his neighborhood- okay, so this does kind of make the DVDs slightly voyeuristic and sketchy...), but if your dog already gets entertainment out of TV (not all dogs do- one of my dogs had no interest in watching the DVDs whatsoever), they're worth a try! Available from TheDogDVD.com for $19.95 CAD titles include, "Dog Farm Adventure," "Dog Friend at Home Adventure," "Dog Park Aventure," and "Dog Sport Show Adventure." Multiple DVD deals are available (after all, variety is the spice of life!). Disclaimer: We received these as a Christmas gift from Barkzilla's grandparents. Please see our disclaimer for more information. 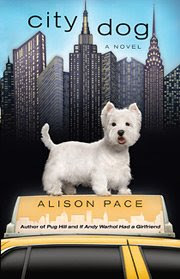 City Dog by Alison Pace is the story of New York City urbanite Amy Dodge and her dog, Carlie- a high-spirited West Highland White Terrier who has a mind of her own. Recovering from her divorce, Amy has embarked on a series of children's book that star her beloved Carlie- Run, Carlie, Run!, and soon finds herself (and Carlie of course), being thrust into the spotlight. However, she starts to find soon she is the one being cropped out of the photo.... Set in the city that never sleeps, follow Amy as tries to figure out what it is she wants and where she's headed. Funny, poignant and thoughtfully written, City Dog captures not only the relationship between Amy and Carlie, but also Amy's relationship with New York City and more importantly- herself. Told from the point of view of Amy, Carlie, and Robert Maguire-- the dashing fictional (alas) explorer-hero of Amy's books, we were sorry to finish the book so quickly. 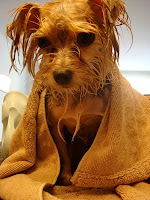 While we did find ourselves liking Amy, Carlie steals the show again with her musings on "the other side of the door," the dog park and saltines which had us laughing out loud. 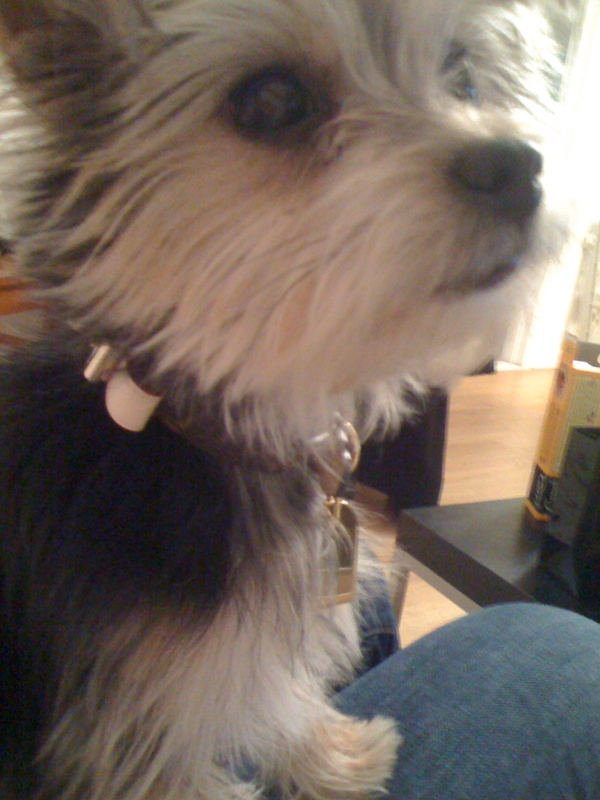 Pace (who is a contributing editor at one of our favorite magazines- Bark), manages to capture ever so eloquently the thoughts that we often imagine to be running through the minds of our pets- without venturing into the cheesy-baby-talk danger zone that you often get when writers attempt the animal point of view approach. We won't giveaway any more of the plot- but needless to say, we thoroughly enjoyed the book's ending which left us with with a smile on our faces. A definite must-read for owners of Westies and anyone who's ever had a dog in NYC! Published by Penguin, City Dog is available from Amazon.com for $11.20. A home isn't complete without a portrait of your pet! Enter Michelle Abeyta who creates custom cartoon portraits of the canine or kitty in your life. Bright and absolutely adorable- they will light up any room or wall. Just send Michelle a picture of your pet and tell her a little bit about what you'd like the pose and background to be and voila! She'll even do group portraits and other critters like skunks, horses, pigs and cows! In addition, Michelle also sells other whimsical ready-made paintings. 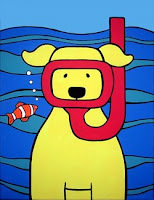 Barkzilla's Mom received one of Michelle's super cute "Scuba Dogs" two years ago for her birthday, and it brings a smile to our face every time we're at home. Check out her site for additional details and to see her samples of her cheerful custom portraits. In addition to being a talented artist, Michelle is ALSO an author and has published an instructional pet portrait book, Pop Pooch Portraits to Paint, that is available from Amazon.com. Fantastic to work with, Michelle was very flexible and great at getting back to us with answers for all of our questions- we can't wait to get in touch with her again! 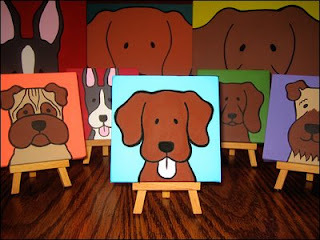 So what are you waiting for- doesn't your pet deserved to be forever immortalized in paint?? All images from Abeyta Creative site. We continue our summer series focusing on hydration with our look at The Honest Kitchen's Ice Pups! First of all, can we just have an "aww" moment? Ice Pups?! Seriously--- the name is just toooo cute! All right, back to business. The folks at The Honest Kitchen have devised a yummy way to encourage your pup to up his or her fluid intake-- simply mix the Ice Pups powder with warm water and you're good to go. Serve it as is as a tasty, warm broth on its own or as gravy, or as a chilled smoothie/frozen sorbet in warmer months. With pet-friendly, healthy ingredients like dehydrated chicken, turkey, whey, dandelion, asparagus, watercress, honey and parsley, you can treat your pup without feeling guilty. Pick up a tin at your local pet supply store or online at: http://www.thehonestkitchen.com (please note the product was NOT available at the time of this post due to what appears to be a website glitch). One 10 oz tin will make about 30 ice cubes. Michael Schaffer and his wife swore that they would never become -that- type of dog parent. You know, the one that feeds their pup solely organic, pays upwards of $50 for a grooming or puts their pet on prescription pills? Funnily enough, I can vaguely remember (okay, so not so vaguely), telling my friends before Paddington how much I despised the people that totted their pets around in bags. After all, a dog's a dog right? Feed it, walk it- it'll be happy... said the girl whose dog now has a wardrobe of 3 or 4 bags and a mini closet of clothes. The truth is, in this day and age, the way society approaches pets has changed. No longer are our pets just utilitarian units of value- they are companions, family members and most of all friends. Thus, we rarely think twice about buying Fido a birthday present, or throwing a puppy shower when we welcome a new addition to our lives. 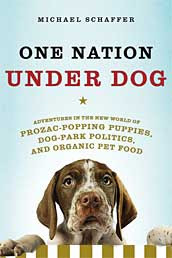 Hate it, love it, or embrace it- Michael Scaffer's One Nation Under Dog is a narrative of the author's "Adventures in the new world of Prozac-popping puppies, dog-park politics, and organic pet food." Conversational in tone, and quiet enjoyable to read- the book follows Michael as he explores the estimated $43 billion (!!!) dollar pet industry which includes luxury dog sitting services, ground-breaking chemotherapy treatments, organic kibble and pet spas. While some books on this topic have been a little too critical for my tastes- Schaffer embraces the pet world and explores it with an inquisitive and open mind. Each chapter holds a different focus and shed light on areas of the modern dog community (who knew San Francisco had such hostile dog wars!). Though admittedly, the first chapters of the book held our attention more than some of the latter, it was an eye-opening read, even for us (and we like to consider ourselves dog savvy!). While at the end of the day we can only speculate as to what sociological changes in our society have actually resulted in the movement of our pets from the backyard into our homes- One Nation Under Dog encourages speculation and reflection in a refreshing way. Did this book change any of our habits? No. 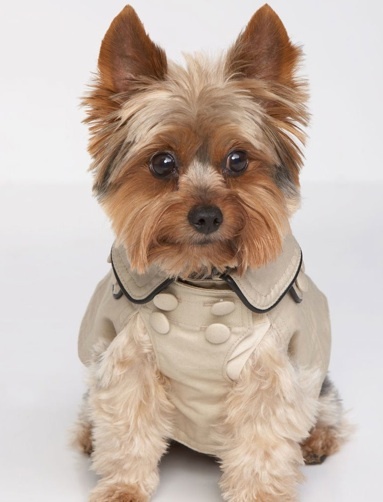 Are we still going to go to the luxury pet boutique in Battery Park and shell out $12 for two bullysticks later this afternoon? Yes. Do we feel guilty? Slightly. But at the same time, as Schaffer says- there is nothing wrong with wanting the best for the animals (and people!) we love. Pick up One Nation Under Dog from your local bookstore or Amazon.com. Before we discovered Aqua Pure Breed's awesome Premium Spring Water (see our review here), we invested in some other not so fabulous portable hydration options. This... this is one of them. Unfortunately, this water bottle with built in tray is not branded, so we can't give you a name to avoid. The refillable water bottle screws into a lid that is connected to the water tray and holds about 17oz of water. 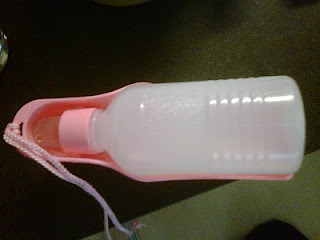 There is an attached piece of rope that doesn't serve a purpose, as it's too short to loop around the bottle to attach it a bag and is too slippery to knot. The first warning sign was the note on the label to not tilt the bottle upside down as it would leak. In our experience, when juggling a dog bag, purse, leash, cellphone, and all our other walk accessories, keeping our water supply upright is not normally a priority. After trying to figure out a way to attach it to our bag and keep it upright (which is really hard when the rope attachment is totally useless), we headed off on our walk. Needless to say, things did not end well. The second warning sign also came before we even put this baby into action. 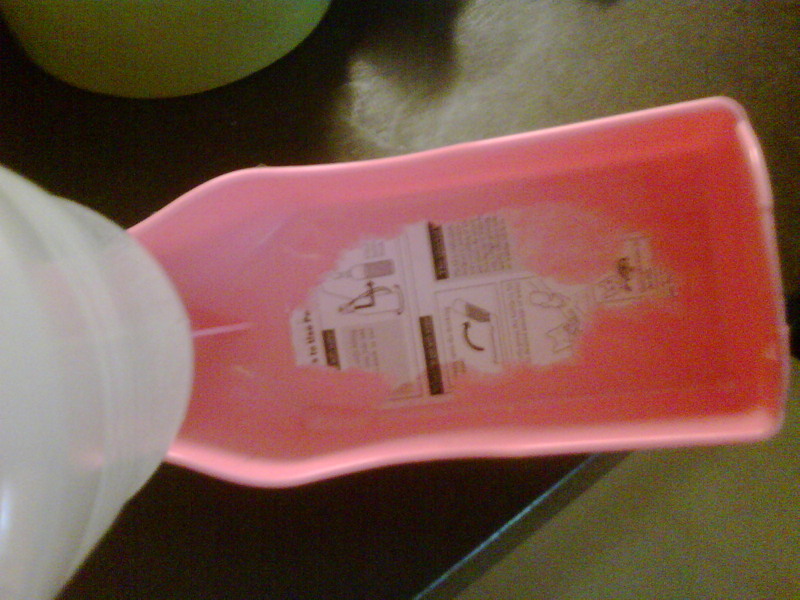 Nothing is more annoying or frustrating than a packaging label that won't come off. We tried the blow dryer, we tried the kitchen scrubber, we even ran in through the dishwasher... but there is no way the rest of this label is ever going to budge. NOT pretty. Unfortunately, as we don't have any other identifying details, we can't give you more specifics other than the fact that we purchased this at our local Pet Central. Luckily for you and your pup, there are so many other great options out there that we can dump this sucker in the trash! Stay tuned for more spend-worthy portable products as part of our Summer Hydration series. Disclaimer: This product was purchased by us... and we would return it if we could. 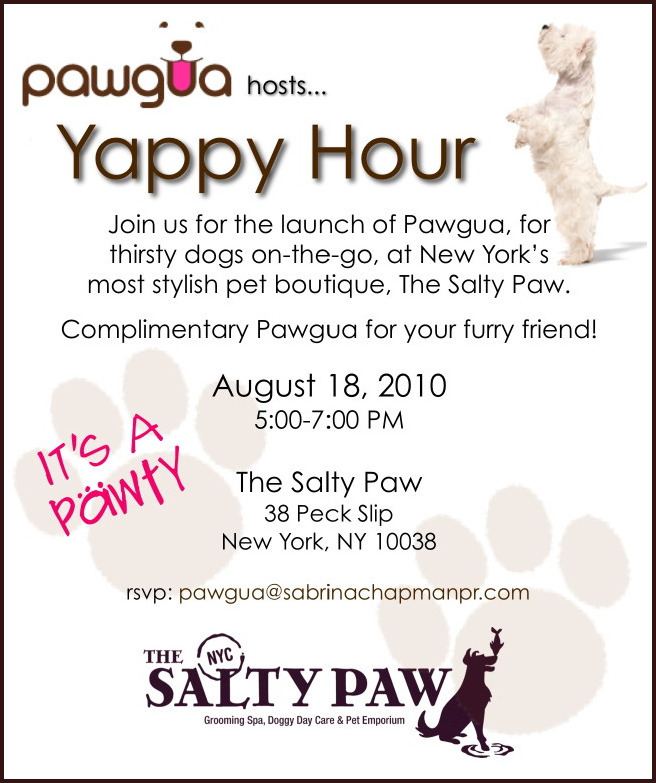 On August 18th, join the awesome crew at The Salty Paw for "Yappy Hour" to celebrate the launch of Pawgua-- a new product for thirsty dogs on-the-go! 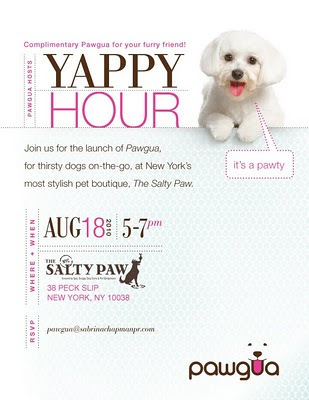 Stop by Peck Slip between 5 and 7 PM to check out our favorite NYC doggy spot and snag a complimentary Pawgua for your pup. See below for more details! Our summer series focusing on hydration continues as Heatapocalypse NYC 2010 shows no signs of letting up! This weekend, with temperatures again in the 90's, we road tested Aqua Pure Breed's Premium Spring & Mineral Enhanced Water For Your On-The-Go Dog, and we're pleased to say so far it's our favorite! We received a box containing samples of Premium Spring Water (pink & blue lids), and grabbed one on our way out the door. Paddy tries to stash a "bottle" for later in her bed. Upon arriving at our destination, it was safe to say that both Paddy and I were ready for a little hydration. Simply unscrew the lid, remove the protective seal, and voila-- water, with no messy, leaky water bottle attachments to deal with! Not to mention, Paddy didn't hesitate to slurp away as soon as we put it down, which we think speaks to its traditional "water bowl" design (seriously, have you ever tried to convince a dog to drink out a plastic cup?). When Paddy had satisfied her thirst we screwed the lid back on and slipped it back into our bag. So easy. Paddy says, "Please stop watching me drink, it's kind of creepy." While $2.69 may make this a little bit of investment, for us, the convenience and portability makes it worth it to have a few containers on hand. When empty, we also plan on saving the packaging (the pink bowls are just soooo cute), and filling it with tap water for future trips. To find out where to pick your Aqua Pure Breed water up from, visit their website, and while you're there, also check out their mineral enhanced water options as well. What do you think? Would you buy "bottled" water for your dog? Several weeks ago we posted about PupCakes 2 Go, an innovative microwaveable treat for your pup, and were thrilled to try them out first-hand! The Barkistas love to cook and bake (and EAT! ), but when it comes to cleaning up... well, we're not huge fans. Thus, we love anything that is delicious that only requires 1 bowl to make. After behaving herself during weekly bath time, we decided to reward Paddy by baking up some PupCakes-- and boy, do we wish there was a human version. Simply add a tablespoon of peanut butter and half a cup of water to the dry organic mix and pour into the included pan, and you're good to go (Yay!). Two and a half microwave delicious smelling minutes later, and our PupCakes were done! After letting them cool for 10 minutes, Paddy was ready to dine-- and there were no complaints! The information that came with the kit also suggested customizing the mix by adding shredded cheese or applesauce, which we're definitely going to try next time. Lucky Paws has also announced that four new flavors, Three Cheese, Very Veggie, Chicken & Wild Rice, and Pot Roast will be added to the line sometime this year.